CBS has announced that Bryan Fuller — who worked on Star Trek: Deep Space Nine and Star Trek: Voyager — will co-create and showrun the new Star Trek series for the company’s CBS All Access service. He’ll be joined by Alex Kurtzman and Heather Kadin as an executive producer. STUDIO CITY, CALIF. – Feb. 9, 2016 – Bryan Fuller, who launched his career writing for “Star Trek: Deep Space Nine” and “Star Trek: Voyager,” will return to the television franchise as co-creator and executive producer of the new CBS “Star Trek” series. As previously announced, the new series, produced by CBS Television Studios, will launch with a special preview broadcast on the CBS Television Network in early 2017. The premiere episode and all subsequent first-run episodes will then be available exclusively in the United States on CBS All Access, the Network’s digital subscription video on demand and live streaming service. The new “Star Trek” series marks the first original series developed for CBS All Access. Recently, Fuller served as executive producer and writer on NBC’s “Hannibal,” based on the characters from the book Red Dragon by Thomas Harris. He got his start writing “Star Trek: Deep Space Nine,” followed by “Star Trek: Voyager,” where he worked his way from freelance writer to staff writer to co-producer. Fuller went on to create the critically acclaimed series “Dead Like Me” and “Wonderfalls.” Also, he served as writer and co-executive producer on the first season of “Heroes,” before leaving to create the Emmy Award-winning “Pushing Daisies.” Fuller is currently executive producing along with partner Michael Green an adaptation of Neil Gaiman’s novel American Gods for the STARZ network. This year marks the 50th anniversary of “Star Trek,” one of the most successful entertainment franchises of all time. The original “Star Trek,” created by Gene Roddenberry, spawned a dozen feature films and five successful television series. Half a century later, the “Star Trek” television series are licensed on a variety of different platforms in more than 190 countries, and the franchise still generates more than 1 billion social media impressions every month. 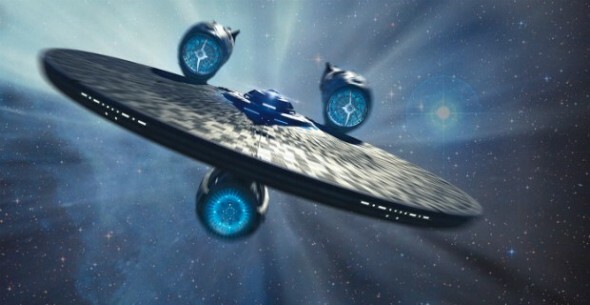 “Star Trek” will be produced by CBS Television Studios in association with Kurtzman’s Secret Hideout. Kurtzman, Fuller and Heather Kadin will serve as executive producers. What do you think? Is Fuller a good choice? Do you plan to watch the new Star Trek series on the CBS All Access streaming service?